The next generation can expect to see interactive, connected infotainment systems on even the most basic cars. Just a few months ago, it was easy to argue that the car of the future was still a long way off, at least in South Africa. But a series of recent car launches have brought the high-tech vehicle to the fore in startling ways. 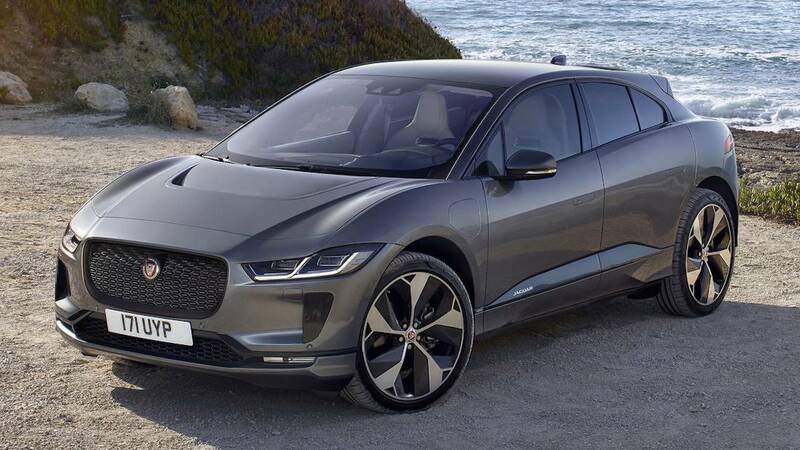 The Jaguar i-Pace electric vehicle (EV), BMW 330i and the Datsun Go have little in common aside from representing an almost complete spectrum of car prices on the local market. Their tags start, respectively, at R1.7 million, R650 000 and R150 000. Such a widely disparate trio of vehicles do not exactly come together to point to the future. Rather, they represent different futures for different segments of the market. But they also reveal what we can expect to become standard in most vehicles produced in the 2020s. The i-Pace ushers in two advances that will resonate throughout the EV market as it heralds new and more affordable cars. It is the first EV in South Africa to beat the bugbear of range anxiety. Unlike the pioneering Nissan Leaf, which had a range of up to 150km, the i-Pace has a 470km range, bringing it within shouting distance of fuel-powered vehicles. A trip from Johannesburg to Durban, for example, would need just one recharge along the way. And that brings in the other major advance: the i-Pace is the first EV launched in South Africa together with a rapid public charging network on major routes.You also have the option of purchasing a home-charging kit. The Jaguar i-Pace dispels one more myth about EVs: that they don’t have much power. A test drive around Gauteng revealed not only a gutsy engine, but acceleration on a par with anything in its class and enough horsepower to enhance the safety of almost any overtaking situation. All-wheel drive; Twin motors with a combined 294kW and 696Nm. 90kWh lithium-ion battery, delivering up to 470km range. The future of autonomous driving becomes not only clear, but also certain, when one engages a function called Driving Assist on the new BMW 330i. Launched along with the new seventh-generation of the 3-series in Cape Town recently, the car brings an unprecedented level of autonomy to a mass market vehicle. Along with a range of sensors, cameras and alarms, Driving Assist allows the driver to remove hands from the steering wheel temporarily. Very temporarily. Every 10 seconds or so, yellow or red lights flash to alert the driver to put hands back on the wheel. The yellow lights means the car wants the driver to put hands on the wheel. The red lights mean the driver has to take over control from the vehicle. We tested the system on a major highway, on the bends of Sir Lowry’s pass and the passes of Hell’s Heights above the Cape winelands. In 95% of cases, the vehicle lived up to the promise of autonomous driving. However, if lane markings are not clear and when the driver does not respond to warning signals, Driving Assist either doesn’t work or it disengages. Driving Assist is part of level two of driving autonomy, as defined by the Society of Automotive Engineers. A presentation on the evening of the test drive by Edward Makwana, manager of group product communications at BMW Group in South Africa, summed up the five stages as the driver having feet off, hands off, eyes off, mind off and finally, only being a passenger. However, the extent to which the hands off mode of Driving Assist mimics self-driving, and easily shows the way to eyes-off and mind-off, is astonishing. • A camera-based Lane Departure Warning, which detects lane markings and alerts the driver to an unintentional lane change. The warning is not activated when the indicator has been activated. • Approach Control warning with light city braking detects vehicles ahead, while a person warning reacts to pedestrians. If a vehicle ahead brakes suddenly, it responds immediately by activating the Approach Control warning. • The warning symbol is first displayed, then the symbol begins flashing and an acoustic warning is emitted. Finally the brakes are lightly applied at speeds under 60km/h. • If the system warns of a potential collision, the brakes are simultaneously preconditioned for a faster response. In an emergency, the system applies the brakes. • Active cruise control with Stop&Go includes radar-based Approach Control warning with full deceleration and braking, especially in traffic jams. 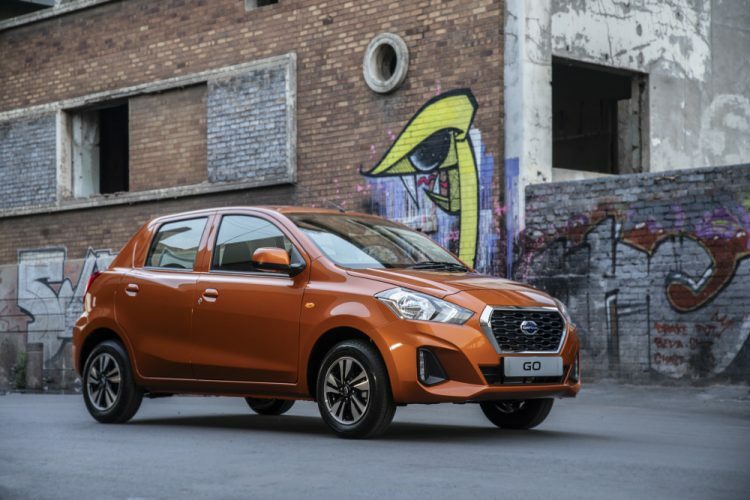 There is little special about the Datsun Go, aside from its price. It is a small car with manual transmission and little by way of comfort or luxury. But it has one feature that sets it apart from almost any other car in its price range – for now. It boasts a full-colour infotainment screen. And not just any screen, it’s a touch screen, meaning one can control it via buttons or by touching virtual controls on the screen itself. Most impressively, it offers Bluetooth connectivity and a USB port, and the infotainment system supports Apple Car Play and Android Auto. That means key apps on the phone can be displayed in simplified format on the infotainment screen. For example, it can fast be turned into a navigation system, carrying the latest mapping updates for Google Maps and Waze, which makes the temporary onboard navigation more advanced than anything built into a BMW or Merc. When connected to Bluetooth, and with the Media option selected, the system easily picked up Spotify playing on my phone, and transferred it to the car speakers. 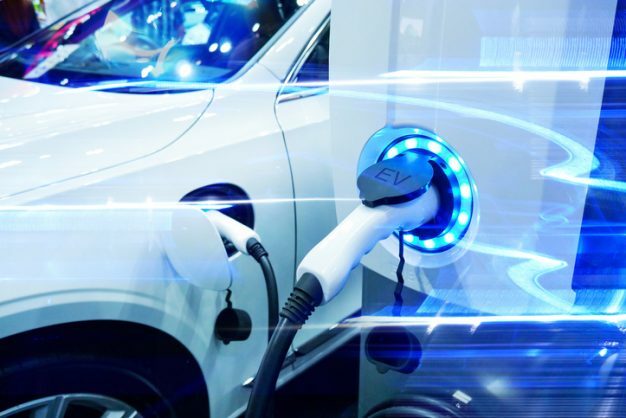 If the next generation of drivers can still not afford electric cars or autonomous vehicles, at last they can expect to see interactive, connected infotainment systems on even the most basic cars. In this way, the Datsun Go is as much a forerunner of the car future as is the i-Pace and the 330i.